Coconut oil is enjoying its moment of fame. 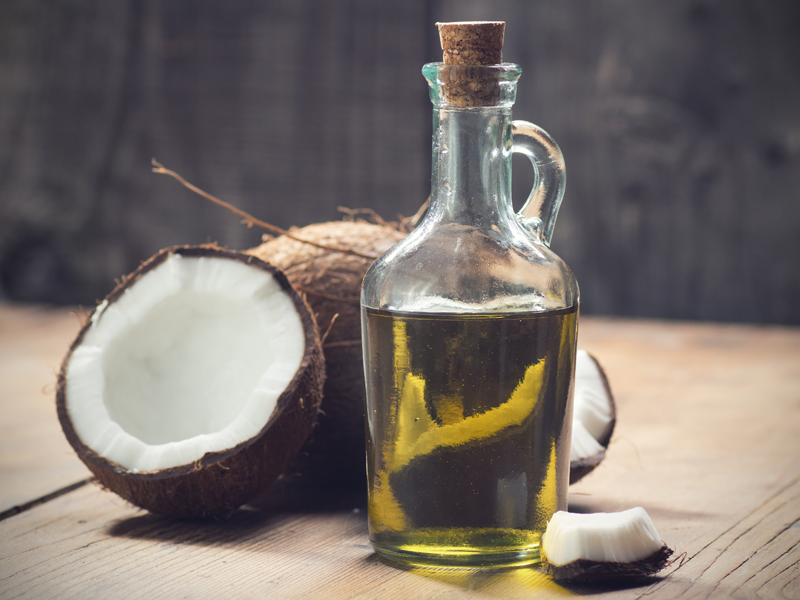 Blog posts on the internet tout it as a magical cure-all but is coconut oil heart healthy? The Cleveland Clinic offers this excellent graphic comparing olive oil and coconut oil. Olive Oil is mostly heart healthy monounsaturated fat while coconut oil is mostly saturated fat. The FDA and the American Heart Association have encouraged Americans to replace saturated fats with monounsaturated in their diets. Olive oil’s health benefits are well documented. There is no good evidence for adding coconut oil to your diet. Extra virgin coconut oil is just as bad for you as regular coconut oil. Meanwhile, extra virgin olive oil and regular olive oil are both good for your heart.